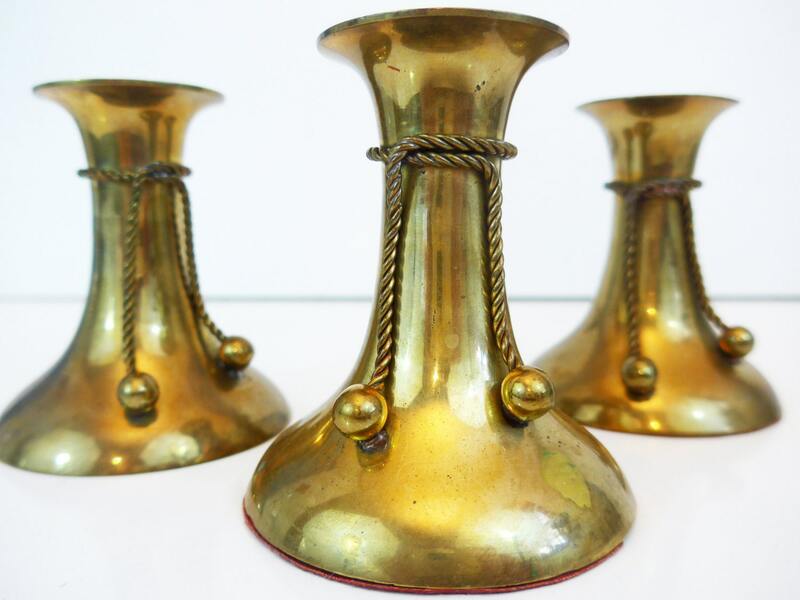 Three matching brass candlesticks with a decorative tie that ends with a ball at each end. 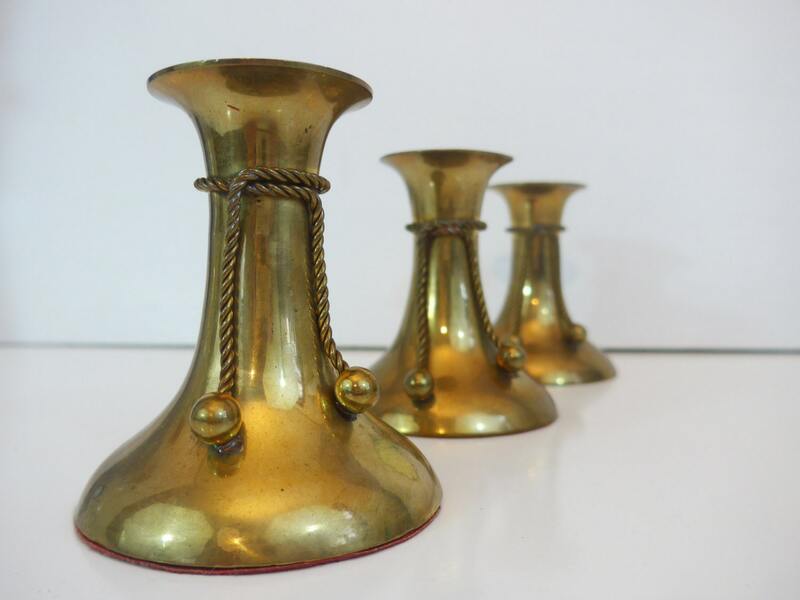 The brass candlesticks are vintage 1970s. 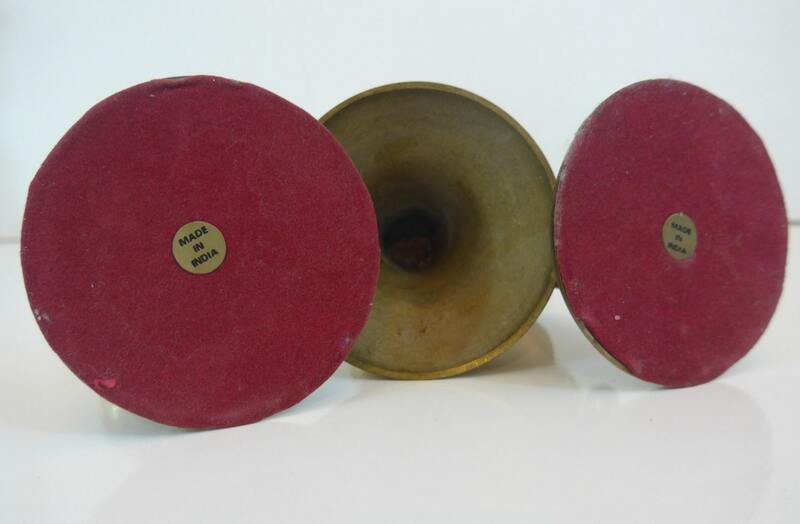 Two still have the red felt on the bottom each with a sticker saying Made in India. The third does not have the red felt. Good vintage condition with some patina of age present. 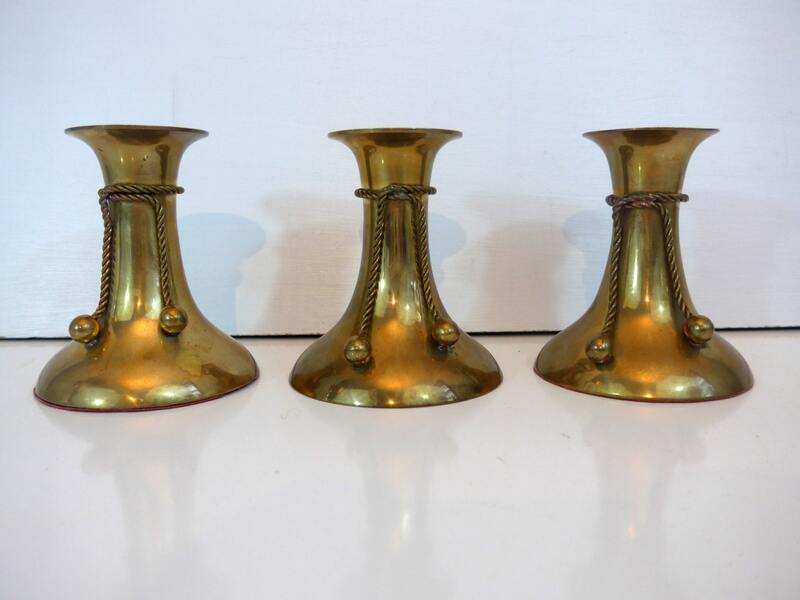 Could be cleaned up to be shinier - I have not cleaned them. Measure 4" high. Bases have about 3 1/2" diameter. 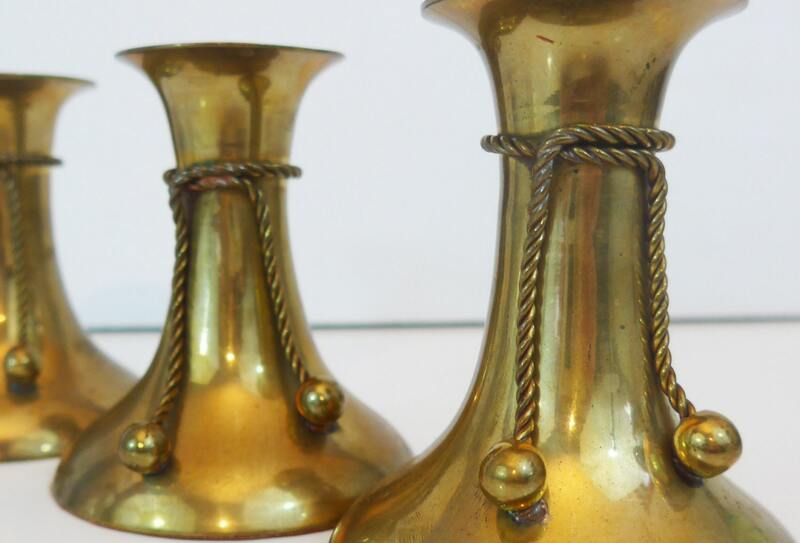 These candlesticks holders are really a simple design dressed up with the rope ties and ball ends.